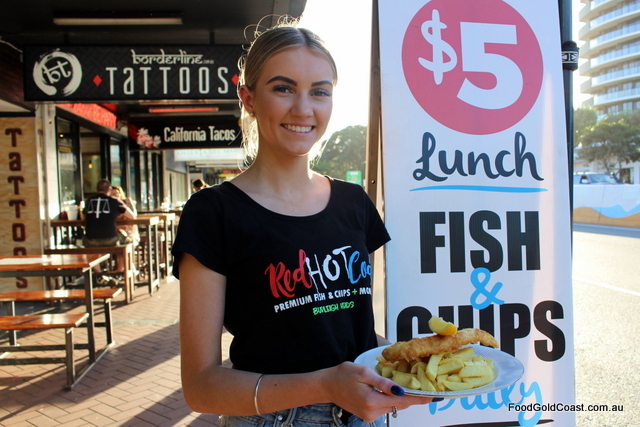 Red Hot Cod’s daily lunch special of $5 fish and chips is sizzling – a large piece of lightly battered fresh NZ cod with a side of hand cut chips, thank you very much! Tucked away on the river end of Cavill Avenue, this shop provides lunch for many workers in the Surfers area. 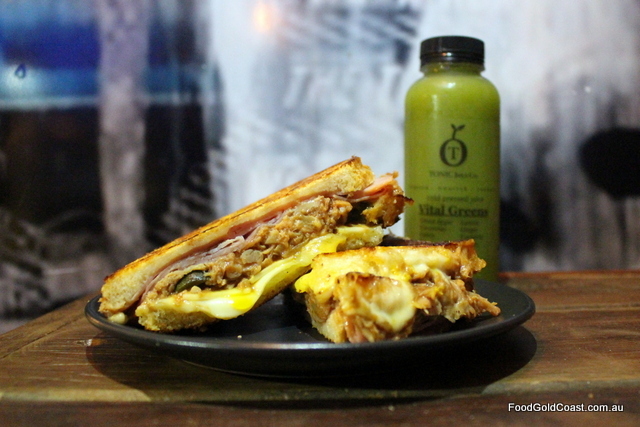 There are daily specials of a burger and chips for $12, but it’s the Reuben and Cuban sandwiches that we love. There’s plenty of seating inside or along the arcade. 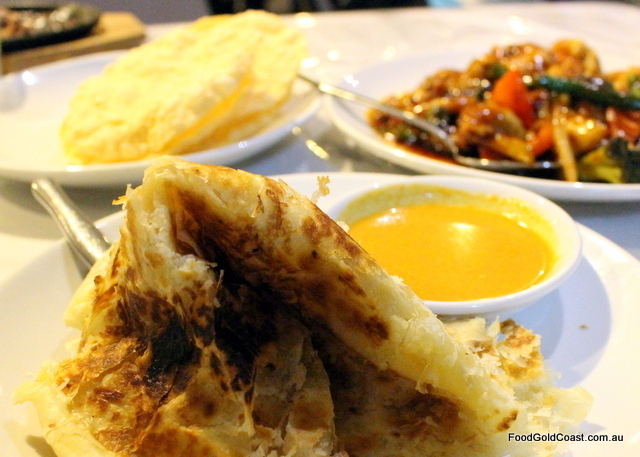 With three locations on the coast (Bundall, Robina and Mudgeeraba), Kampung Malay is a local lunch favourite, offering about a dozen lunch specials of Malaysian curry and rice for $11 to $12. The venue also allows BYO wine. With all but one of their lunches under $10, Euphoria blitzes the competition in Robina. 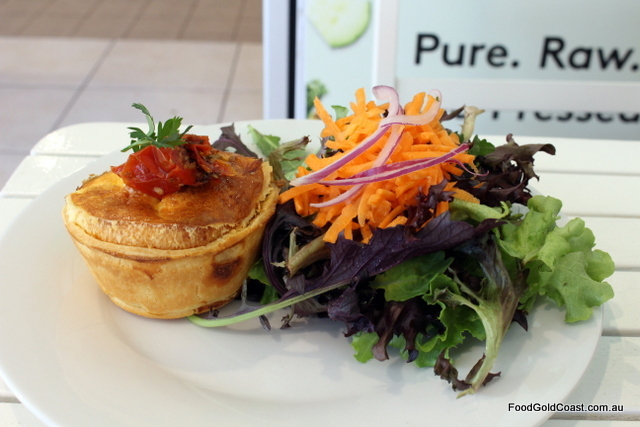 Humble but cheery, we love lunching on one of Richard’s baked items with a side of salad ($7.90). Add a doughnut for dessert and you’re still got change from a tenner! 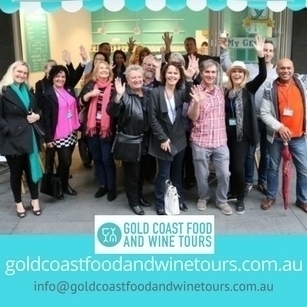 After spending his teenage years working in his family’s restaurant, Boonchu Thai, Louis Vell has opened his own café. Curries and stir fries are priced at $12, including Beef Massaman, Green chicken curry, and Chicken in plum or oyster sauce. 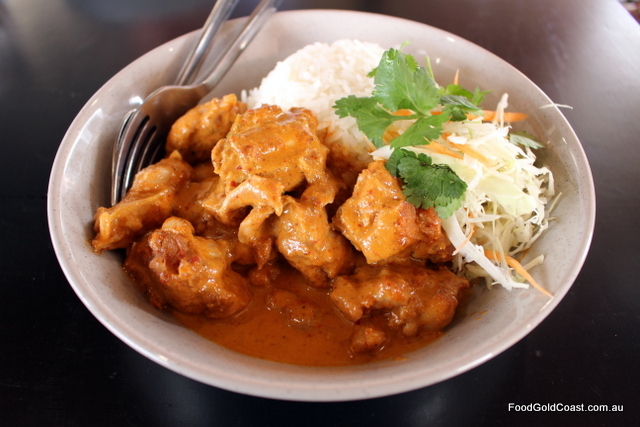 Panang chicken curry is our favourite, rich and fragrant, served with a side of rice. 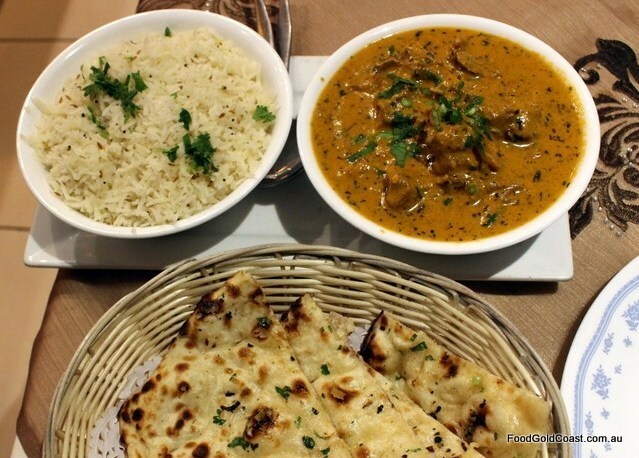 Serving the best value Indian food on the coast, Indian Hut offers a $10.95 curry and rice deal: Butter Chicken, Rogan Josh, Chicken Korma or Dal served with Basmati Rice for $10.95 takeaway or dine in for $12.95 from 12.30 to 2.30pm. 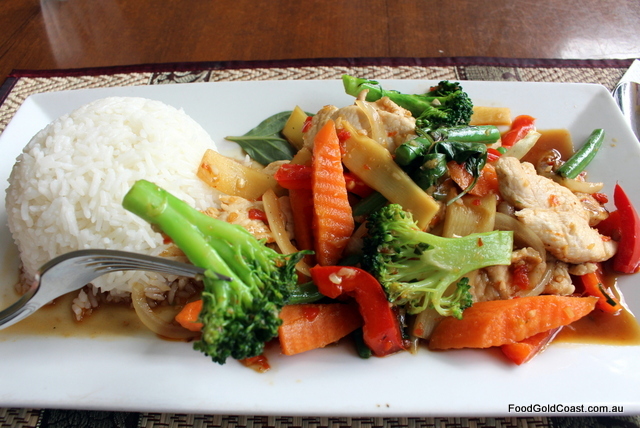 Fresh, fast and healthy, Thai food is a lunchtime favourite. At Bangkok Thai you can select pan-fried noodle dishes, curries or stir fries served with rice and vegetables, tofu, chicken, beef or pork for $10.90, the same price as noodle soup. Other meats and seafood are a few dollars extra. You can BYO. 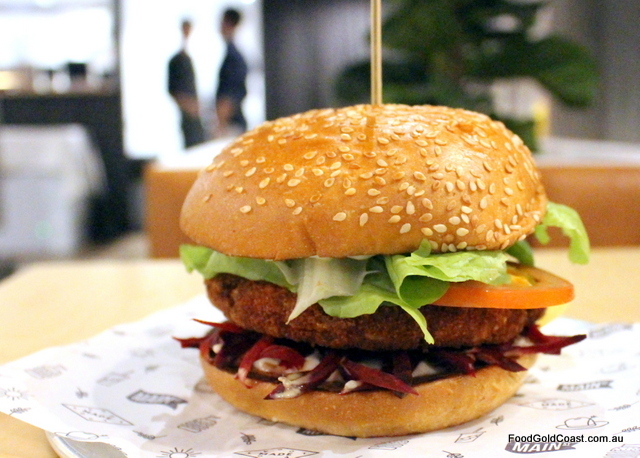 Organic, free-range and … tells us that this is not your usual burger bar. On their regular menu, you can score a Classic Cheeseburger for $12 or an Old School Chook burger or Miso Ramen Tofu Burger for $12. Deal! 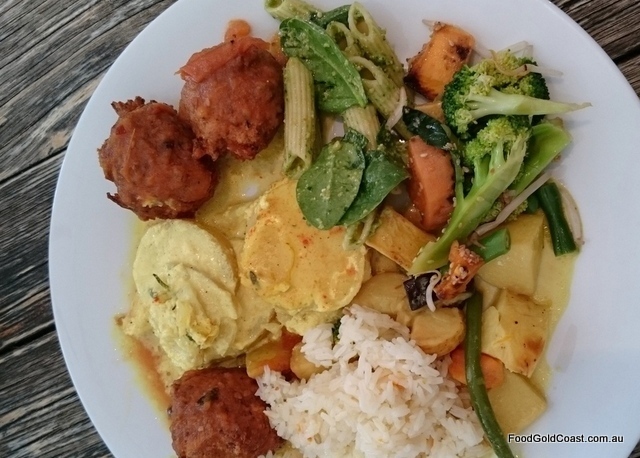 Offering a buffet of hot Indian vegan dishes, salads and raw and desserts, Govindas’ mission is to serve healthy, tasty food. Their prices are keen: $10 for a small plate of two choices and rice, $12 for three choices on a medium plate and $11 for two salads. 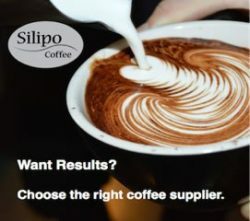 Have we missed you? Tell us about your best lunch deal and we’ll try to include you in the next list.